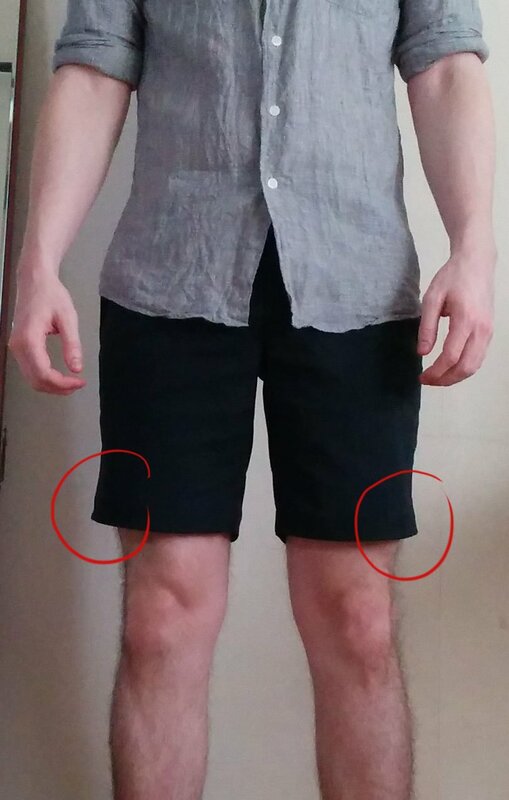 I’m writing this review based off of my experience with the (2014) model of the Outlier New Way Shorts. The main difference between the two shorts is a refined fit and the ends of the drawstring are now tied off with barrel knots instead of having little coloured metal ends. In addition to these changes there is a selection of new colours to choose from. These shorts are made from Outliers F. Cloth which is a blend of 97% Nylon and 3% Elastane. This gives the shorts a nice 2 way stretch and improves comfort. The material doesn’t feel like what you would imagine nylon shorts would feel like. It feels more like a cotton or any other kind of regular material. Its not shiny or loud as cheaper nylon garments usually are. I really like the fit and cut of these updated 2015 new ways. Last years model had slight flaring of the hem and the pockets would flare out a bit too. I actually had my 2014 new ways tapered slightly by a tailor where I was living in Korea. I did kind of regret it afterwards though because they were never quite the same. They seemed to be a little unevenly sewed and I’m not sure the tailor was a particularly good one. The new fit on the 2015 model however is excellent, not too slim and not flared or too loose. I haven’t noticed any pocket flare yet either. The 2015 shorts also have a slightly wider waist measurement so that they can be worn lower on the waist compared to last years version. 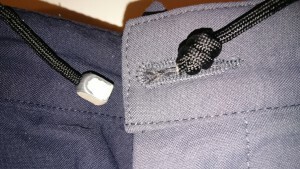 The 2014 model’s drawstring has little painted metal tips on the ends. I initially thought these were great until the first time I put them in the washing machine where they loudly banged around and the colour got chipped off. Thankfully the 2015 has revised this with barrel tied ends on the drawstring. Time will only tell if these hold up to a wash and with wear, but its quite a good look. One of the main reasons people love Outliers shorts is the ‘water readiness’ of them. They are designed in a way that allows you to swim in them without feeling uncomfortable, and due to the nature of nylon they dry super quick. The pockets also have mesh on one side so that they don’t balloon up with water when you’re swimming with them. Basically you can go to the beach or pool looking sharp and then dive in, swim for a bit then just let the shorts dry as you’re walking/sitting around. It only takes about 30 minutes to dry when you’re wearing them. I actually tended to notice that they took longer to dry when I wasn’t wearing them. I think its because body heat helps them to dry quicker. These shorts are an excellent addition to any “light travellers” cupboard. They are versatile enough to replace your swim shorts and regular shorts and even are comfortable enough to replace your sleep shorts. 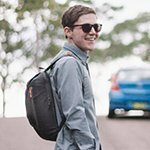 I have used them for all of these scenarios while travelling and they definitely hold up well. The only bad things I can think of are that they tend to attract hair, particularly pet fur like dog/cat fur. You need to use a damp towel or sticky roller to get rid of the fur because its very attracted to the material. The other bad thing is how they take a little longer to dry when not worn. I have found that wringing them out after washing does help to some extent though. Overall my experience with these shorts has been a very positive one. They’re the perfect travel short because they not only look good, but are extremely versatile and quick drying.